Fieg debuts his own silhouette with PUMA. Going a step above collaborations, Ronnie Fieg introduces his new PUMA silhouette, the RF698 Mid. A scaled up version of PUMA's heritage runner, the RF698 Mid is equipped with an extended ribbed collar and front and rear pull-tabs. 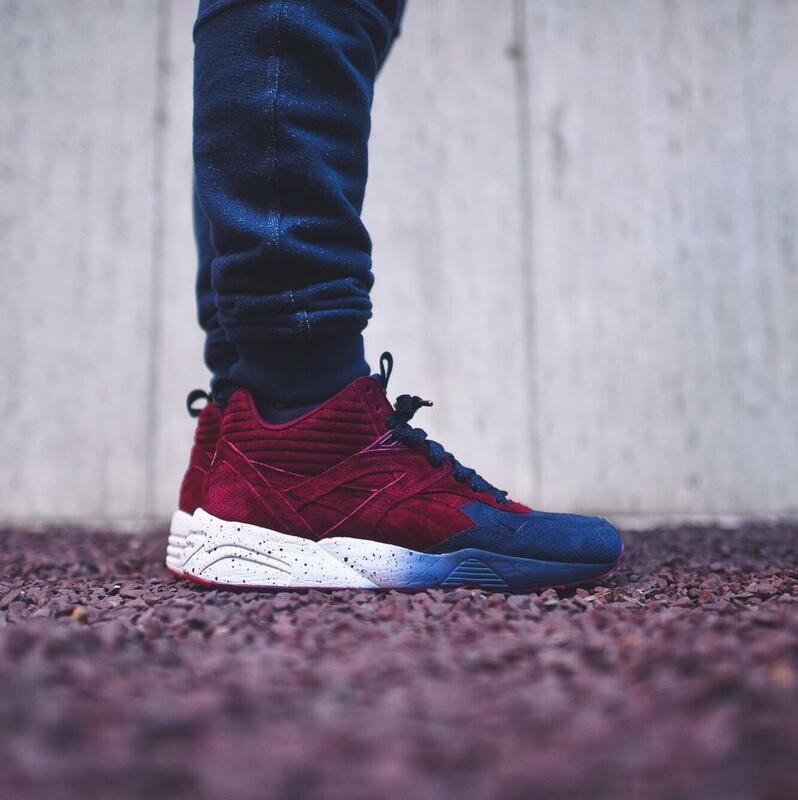 Fieg debuts the model in burgundy and navy suede, with a speckled white-to-navy gradient midsole. Japanese sneakerheads will get the first shot at the Mid, as its set to launch this Friday, Mar. 20 exclusively at United Arrows & Sons Jingumae Shibuya location in Tokyo.